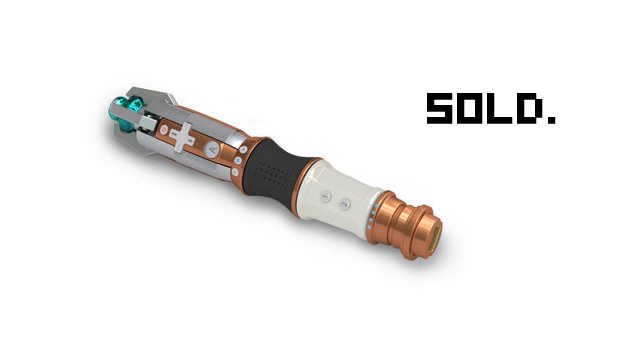 BBC Worldwide and Blue Ocean are producing a licensed Wii remote modeled after Doctor Who writers' favorite narrative crutch, the Sonic Screwdriver. Based on the tool carried by Matt Smith's 11th Doctor, it looks pretty ace. I'd want to see one in person before deciding, which may not be an option as there's no indication these will be available outside of the UK. In the end, I'm probably just going to import one once they're out. After all, how can I resist the allure of controlling my media center PC with a Sonic? I'm not exactly a Cyberman here. My will is finite.